ABU DHABI, UAE – 17 January, 2018 – Array Technologies, Inc., the pioneer and global leader in solar tracking solutions, brought tracker reliability and its impact on utility-scale solar operations and maintenance costs (O&M) into sharp focus at the World Future Energy Summit (WFES) this week in Abu Dhabi. Array presented the results of an independent analysis by TÜV Rheinland, which indicated Array’s centralized tracker architecture delivers an LCOE advantage over decentralized systems of 6.7%. This is due largely to lower scheduled and unscheduled maintenance costs. The study further shows how the centralized system’s resilience to environmental risks leads to an increase in a project’s profitability and to long-term investment security. The analysis was delivered in a first-of-its-kind independent report in which different solar tracker architectures were assessed regarding their durability and reliability. It took into account the extreme heat and strong winds that are prevalent in the Middle East and other parts of the MENA region. The report highlighted these unique environmental challenges facing utility-scale solar projects in the region and the crucial importance of minimizing O&M. The report presented at WFES 2018 found that a centralized rotary-drive tracker architecture delivers an LCOE of 2.75 cents/kWh for a 100 MW solar array, while a decentralized architecture can only achieve 2.94 cents/kWh. 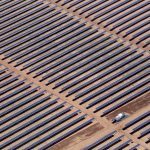 Over a 30-year expected PV array lifetime, that amounts to LCOE savings of $12.41 million. • the commercially rated and readily available components for wind mitigation used in Array trackers are more resilient under harsh environmental conditions and can be easily replaced in the unlikely event of failure. 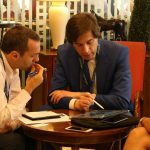 “It was an eye-opening experience to bring together the testing conditions common to the Gulf States and Middle East and tracker reliability for the first time at WFES 2018,” said Array Technologies’ Cesar Alberte. “This discussion is important not only for project developers and EPCs but for the solar industry as a whole – if it is to meet its vast potential in the region.” Alberte recently joined Array Technologies as its new VP of International Sales. Before joining Array, he served as managing director of a global EPC and concessionary with a presence in the Americas, Africa, Europe, India, and the Middle East. Array Technologies, Inc. is the leading solar tracking solutions and services provider for utility-scale projects. With efficient installation and terrain flexibility coupled with high reliability, durability, and performance, Array delivers the best project returns in the industry. As the chosen tracker for more than 16 GW years of energy production, Array’s products have been optimized through unparalleled experience garnered over nearly three decades.  Array Technologies is headquartered in the United States with offices in Europe, Central and South America, the Middle East, and Australia. For more information, please visit arraytechinc.com.